So you’re having trouble getting your business in front of the right audience, we get it. And who wants traffic on a site if it’s not converting into paying customers? A hobbyist, perhaps. But you’re not a hobbyist, you’re a motivated business owner ready to bank sales and thrive. The great news for small business is that a huge share of the market sits in local search. 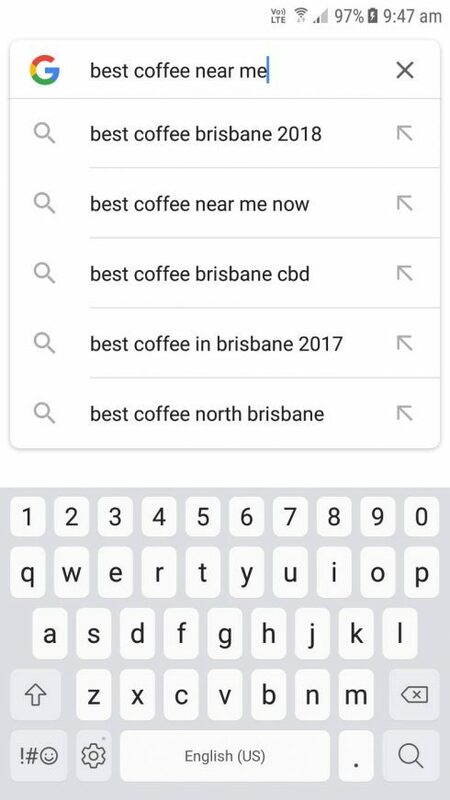 People are searching for services “nearby”. But if they were to search for what you offer, would your business show up? To get those calls and sales rolling in, you’re going to want to be the local. We’re local search marketers. We turn local search into profit for our customers and we can do it for you, too. Whether you’re just starting up or primed to grow like crazy, we’ll create for you an online marketing strategy that works to seize your business goals like they’re the day. We’ll research what’s working and what’s not for your competitors to give you a competitive edge. We’ll help you build a great reputation with social proof. We’ll create for you high quality, shareable content. We’ll keep you in the loop with clear and informative reporting. We’re bringing local back. Join us. Click Street is the best digital marketing agency Brisbane has to offer. We provide local SEO services and Google Ads management that will build your online presence, boost your site traffic, and skyrocket your leads and sales. Our highly trained team of internet marketing service specialists have already helped a range of small businesses, across a variety of industries, to achieve and even exceed their business goals. If you want more traffic, more leads, and more sales, call Click Street - your local digital marketing experts. We will create a tailor-made digital marketing strategy for each new client we take on because we know that your online marketing strategy should be specifically designed to help achieve your business goals. We can also design a strategy to maximise your marketing spend across a range of platforms including search engine optimisation, Google AdWords, remarketing, and social media marketing. Don’t settle for a cookie cutter strategy that won’t help you achieve your specific business goals. If you want a customised digital marketing strategy that will produce real, measurable results for your business, choose Click Street. Our digital marketing experts have been tracking Google’s algorithms and keeping up with all updates to ensure that our customers stay one step ahead of the competition. We offer comprehensive online marketing services including SEO, Google Ads management, web design services, and landing page design. 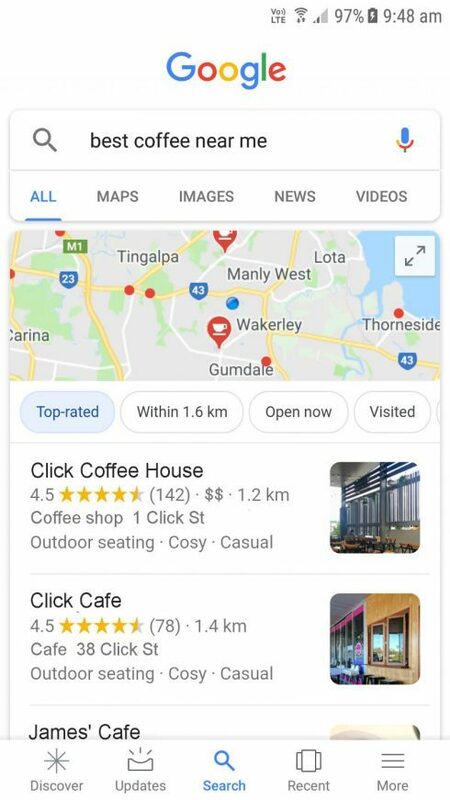 Get your website onto the first page of Google and drive more traffic, leads and sales with Click Street - the best digital marketing company Brisbane and Australia wide. Call us today on 07 3063 0260 for a free website health check. As an Australian owned and operated company, Click Street offers local digital marketing services Brisbane & Australia wide. All of our work is completed in-house by one of our highly trained digital marketing professional allowing us to provide quality service 100% of the time. As we are based in Brisbane, Australia, we know the Australian market inside and out so we know exactly what your customers want, and where they’re looking for it. If you have a local business, you need local digital marketing services. By choosing Click Street as your digital marketing specialists you will benefit from our extensive knowledge of Australian consumers that we’ve developed over years of providing quality local digital marketing services to local businesses. When it comes to digital marketing for local businesses, social proof is key. This includes online reviews, testimonials, awards and more! To run a successful online marketing campaign you need a digital marketing agency that knows the importance of social proof, how to get it, and how to use it. At Click Street, social proof is our specialty! In fact, we can coach you to gather more online reviews and testimonials which we can then use to maximise your digital marketing success! At the end of the day, traffic and rankings are just numbers that can’t be taken to the bank. The only real way to judge the success of any search marketing strategy is by assessing if, and how, it has contributed to your bottom line or helped achieve your business goals. In most cases this means how much money did you make. That’s why we don’t stop at increasing your traffic. We convert traffic into leads which means you get more leads, more sales and more money for your business. As one of the top digital marketing agencies Brisbane has to offer, our team are experienced when it comes to search engine optimisation, Google AdWords, social media marketing and more! We know what will work and what won’t. That’s why we build and implement long term digital marketing strategies designed to improve every area of your online marketing efforts, deliver lasting results, and help to grow your business.